Recently, I was drinking a coffee with a friend that told me about the difficulty in finding the right shampoo for her daughter. She complained about some products being too aggressive and leaving the her daughter’s hair dry. To help her I checked the ingredients of those products and gave her my honest opinion. and many others that the ewg.com (Environmental Working Group) scores with a significant level of hazard, either for the health or for the environment. That’s a no-go for me. Both products didn’t pass my test! I started thinking that this could be a serious problem for many parents that go daily in drugstores looking for the best products for their kids. 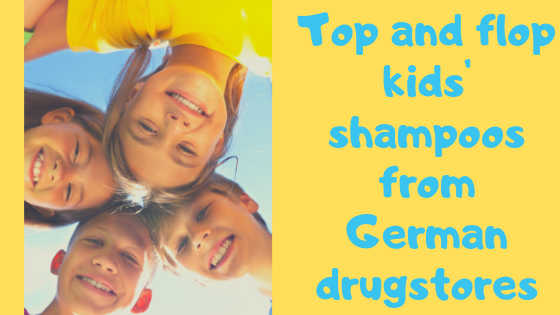 To help my friends and other parents I looked at the websites of some German drugstores and I made my top 4 baby shampoos after checking carefully all their ingredients. The ingredients of this products are TOP! Fair trade certified, from controlled organic farming, Vegan and using only recycled plastic for the packaging! So why only #4? For the price. A bottle of 335 ml costs about $24.99 (on amazon.com) or above 14€ on amazon.de. Of course, the top quality has to be paid but I find it a bit too expensive for my wallet. The third position goes to Baby shampoo from Mayben. Mayben is a German company based in Düsseldorf. They offer baby-spa services selling also their high quality products with focus on baby care. The ingredients are excellent and the Shampoo is Natrue certified. It is possible to find it on Amazon.de for 9.95€. Weleda is a must in natural cosmetics. Weleda is one of the most active brands that selects the best ingredients taking into account environment sustainability. In my personal rank, a Weleda product could not be missed. The Natrue certification assures the naturalness of each ingredient making the shampoo absolutely safe and efficient. If you are interested in it, you can find it here. The winner for me is Alverde – Baby sensitiv. In Dm-drugstore, it is sold at about 2€ for 200 mL of product. If you don’t live in Germany but you want to try it, it is also sold on Amazon.com. It contains just a few ingredients and that’s for me an added value! It respects my philosophy “less is more!”. The ingredients are all natural as proofed by the Natrue Certification! This shampoo is Vegan and doesn’t contain any perfume which is great for sensitive skin. After this short research, I suggested Alverde shampoo to my friend. She gave it a try and her feedback were positive. Maybe the absence of a perfume could be strange during the first use but the most important things are the efficiency of the product and the fact that finally her daughter has found a good product without aggressive ingredients. If you like my content, please consider supporting what I do. 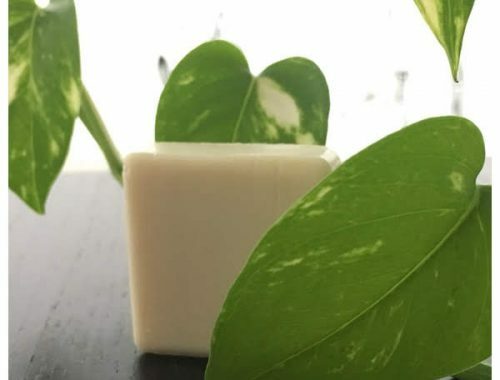 With your support, I would like to buy new ingredients and create original healthy beauty products! Thank you. To help the planet don't boost such companies!